With liquid paint, thinly applied, this spare, evocative piece is characteristic of Dunlop's later years. 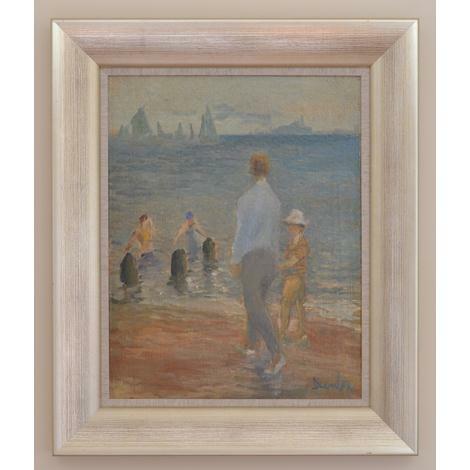 He has focused on what has captured his attention - the silhouetted patterns of sails, groynes and the tall figure of a man. The whole conveys something of the poignancy which pervades his late landscapes and seascapes.